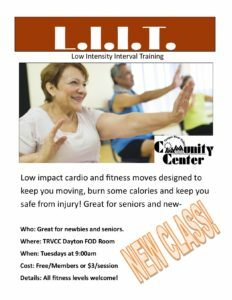 A low impact interval training class for active older adults, people just getting back into fitness, or coming back after an injury. 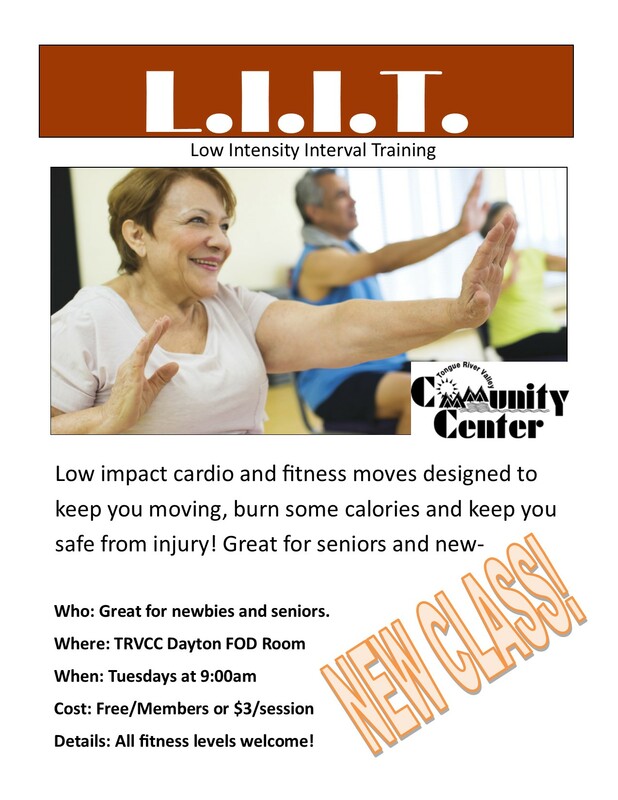 This class is a high volume (reps), low resistance (weight) workout with short rest intervals and is geared primarily at improving muscle tone and definition and core strength while improving cardiovascular fitness. Cost: Free with Membership or $3.00/session.